To use this VPN service, you need to download and install Avast SecureLine VPN software. 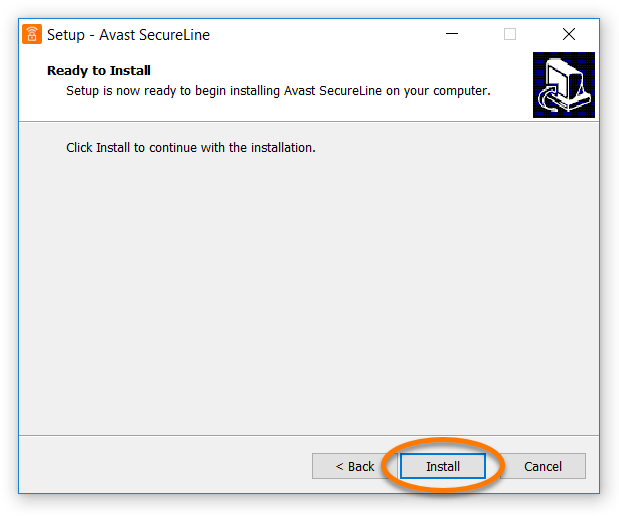 You do not need to follow these installation instructions if you use Avast Antivirus on your PC, as SecureLine VPN is already installed as a program component. 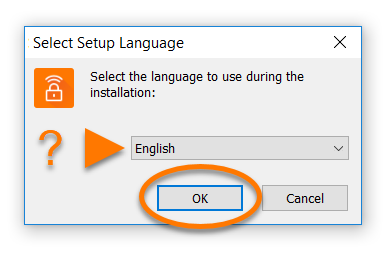 Right-click the downloaded setup file avast_secureline_setup.exe and select Run as administrator from the context menu. 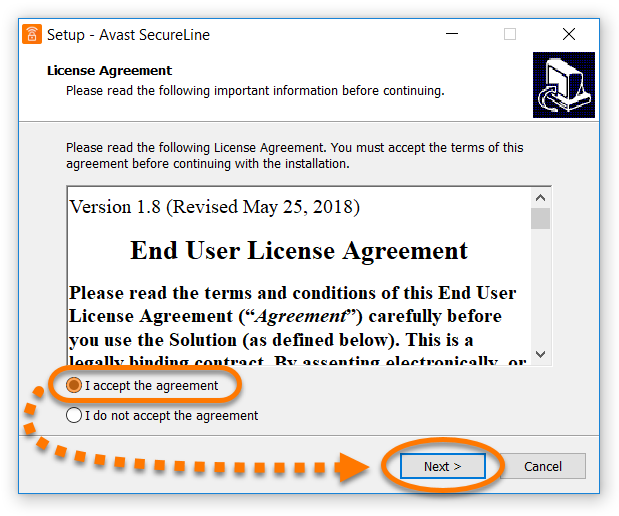 Review the License Agreement, then select I accept the agreement to confirm that you have read and accept the license terms, and click Next. 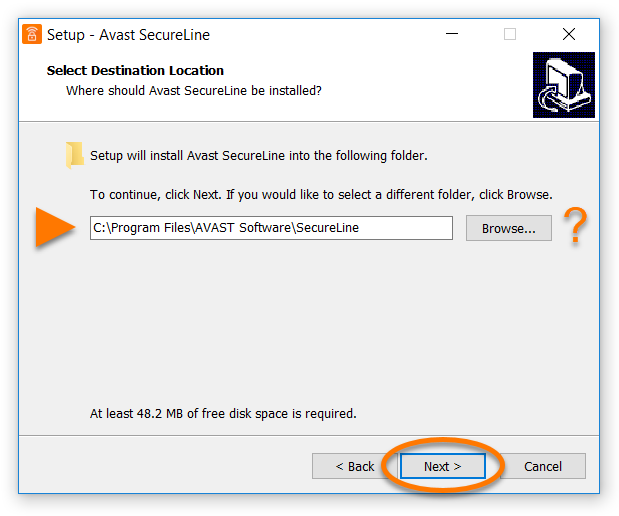 Click Browse... if you need to change the default location for saving Avast SecureLine VPN program files, then click Next. 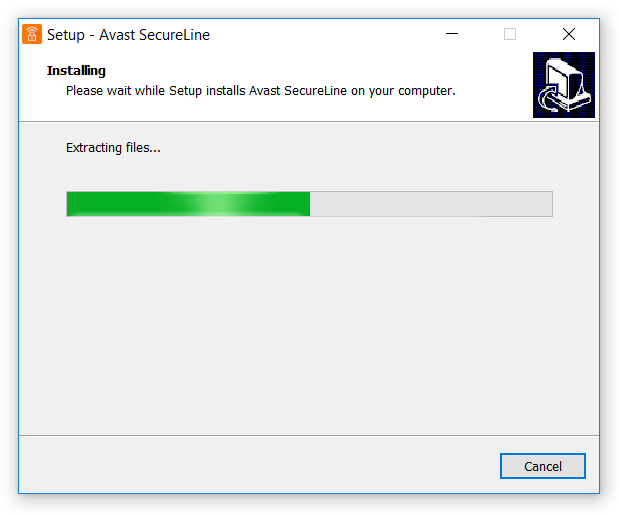 Wait while setup installs Avast SecureLine VPN on your PC. 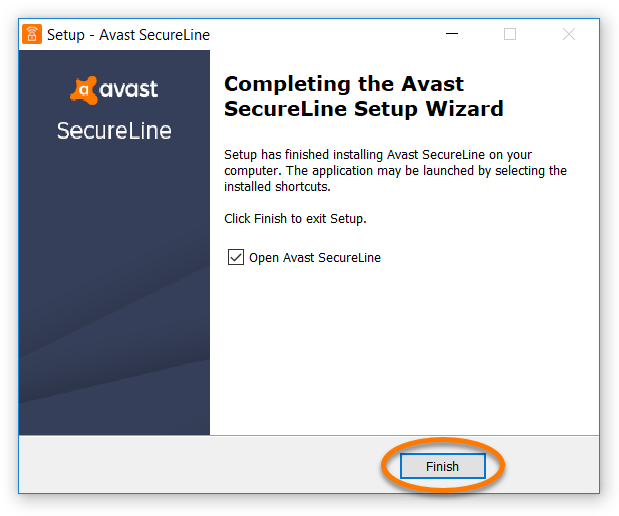 Avast SecureLine VPN is now installed on your PC and ready to use. The user interface is accessible via the system tray icon on your Windows taskbar or the Avast SecureLine icon on your desktop. 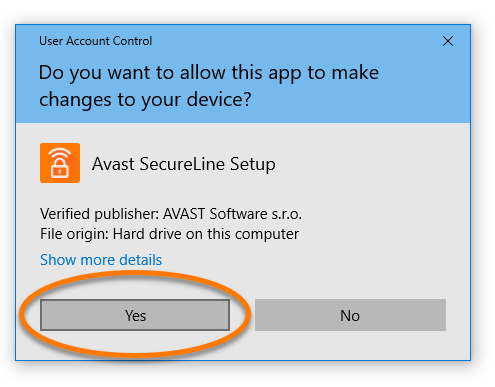 Restart your PC, and try again to install Avast SecureLine VPN by following the instructions in this article.